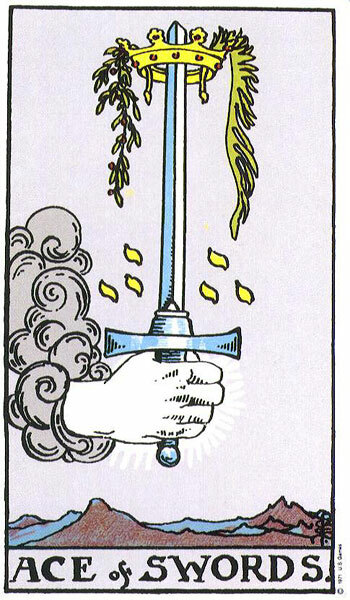 *With Any The Reversed Swords Cards, it can be an indication that the Health Condition Relating to that Particular Card, is in its very Early Stage (is incubating beneath the surface but has not manifested in the Physical just yet), is in the Final Stages or has been Blocked from developing any further and is losing Power. It can also suggest that the condition is not as bad as it is made out, or first thought to be. Surrounding Cards will need to be consulted. This is a tricky one to Decipher but often becomes Clearer when a Second Reading is done off the back of the First Reading where the condition/s is originally discovered. It takes time and a lot of Practice. Upright Ace – Virility, Male Fertility, Conception, Strong Spine and Neurological System, Good Posture, Accidents Caused by Sharp Instruments, Surgery, Beginning Medical Treatment or Hospital Attendance, Healthy Mental Faculties, Clear Thinking and Good Memory, Thinking About Your Health. 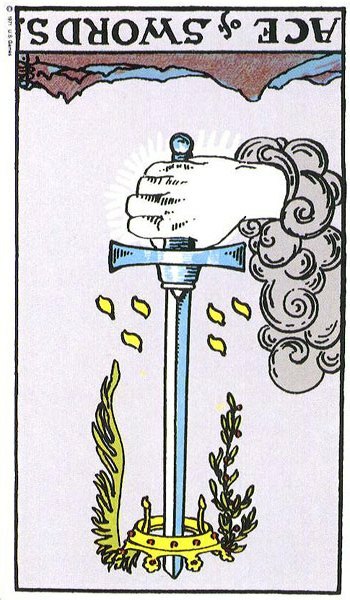 Reversed Ace – Impotency, Low Sperm Count, Also can suggest Conception (Check Surrounding Cards) Emergency Surgery/Surgery Unnecessary or Cancelled (Check Surrounding Cards, or Injury by a sharp instrument, Sharp Pain, Stabbing, Migraines, Mental Confusion, Forgetfulness, Memory Issues, Spinal or Neurological Damage. 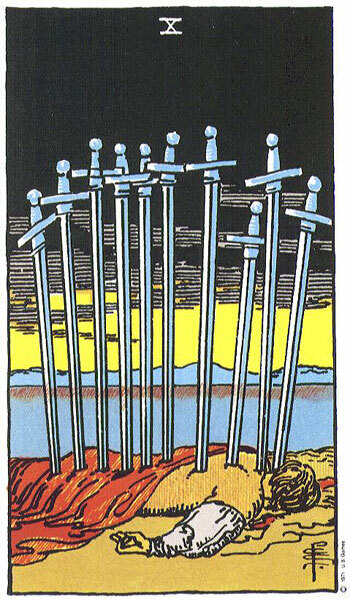 Reversed Five – Funerals, Mourning, Mental Exhaustion or Breakdown, Relentless Attack, Serious Contagious Disease, Revenge, Serious Violence, Brute Force, Bloodshed, Serious Personality Disorders, Criminal being Committed to Psychiatric Unit, Not Heeding a warning about danger or a Dangerous Personality, Putting Yourself at risk of serious harm, Self-Harm, Taking Action. 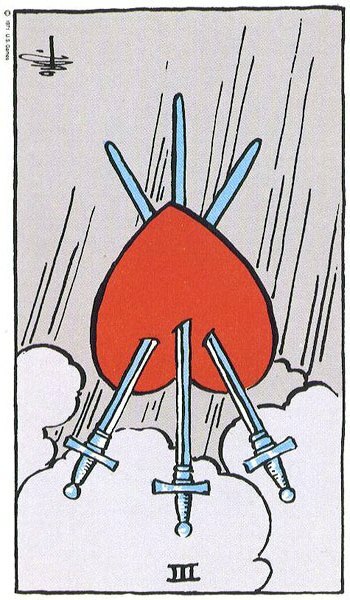 With The Reversed Five of Swords, whatever potential Health Situation either begins to heal or gets worse. Surrounding Cards need to be taken into Consideration. 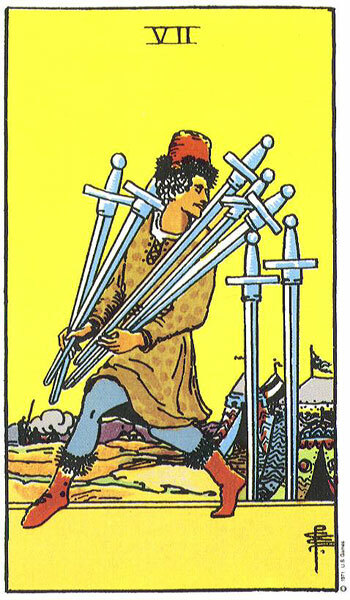 Upright Six – A slow Healing Setting in, A long journey to recovery, Try not to rush the Healing Process, Coming through Serious Surgery, Psychological Issues Need to be Dealt with and cannot be Ignored, Making Efforts to get Well, If a Death is indicated then a gentle passing is suggested, Coming to Terms with a bad Diagnosis, The Slow Process of Grief,Mental Stability Returning, Feeling Less Stressed and Anxious, Weary and Exhausted but relieved that the worst is behind you, Taking a Vacation for Health Purposes, The tendency to quit Counselling or Psychotherapy before you are better, Thinking you have dealt with all your Mental Health Issues. Psychological Baggage. 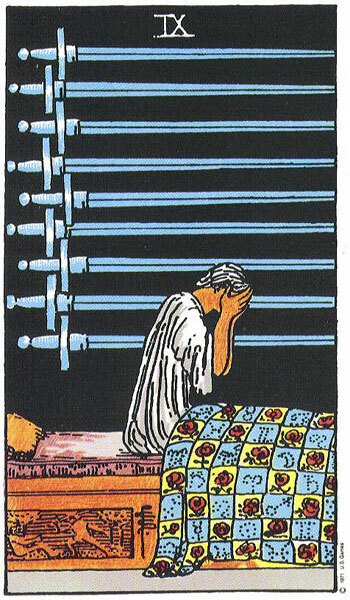 Upright Eight – Depression, Confinement, Claustrophobia, Hospitalisation, Mental Confusion, Delusional, Chronic Pain/Suffering, Stiffness, Trapped Nerve, Hallucinations, Paranoia, Fear of Illness, Anxiety, Fear, Paralysis, Blindness, Eye Infections, Migraines, Hysteria, Major Psychological Problems, Negativity, Pessimism affecting Mental Stability, Powerless, Need Professional Help, Kidnap, Tightly Controlled Life, Bullied, Can’t see a way out of Your Health Problems, Feeling Condemned to Suffering, Feeling Trapped by a Diagnosis. 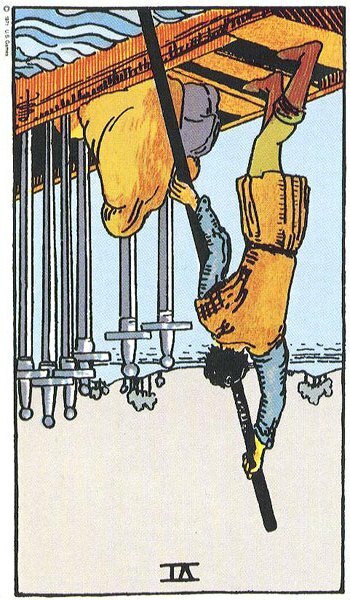 Reversed Eight – Accidents, Mental Depression, Fear, Danger to Physical Health, Thinking of Suicide as being the Only Way Out, Having to Endure Chronic Health Problems, Counsellors and Psychiatrists beginning to make a Break Through, Getting the Help you Need, Coming to Terms with a bad Diagnosis, Mental Health Improving, Effort to Change Negative Attitudes and Pessimistic Outlook, Being Released from the care of your Mental Health Professional, Standing on your Own Two Feet, Eyesight Returning, Rehabilitation for Paralysis beginning to work, A worsening of any condition experienced in the Upright, Fear, Relapse of Condition, Mental Paralysis, Psychologically Overwhelmed, The need to be re-hospitalised, Unable to help yourself, Giving Up, Surrendering to your Illness and Fate. 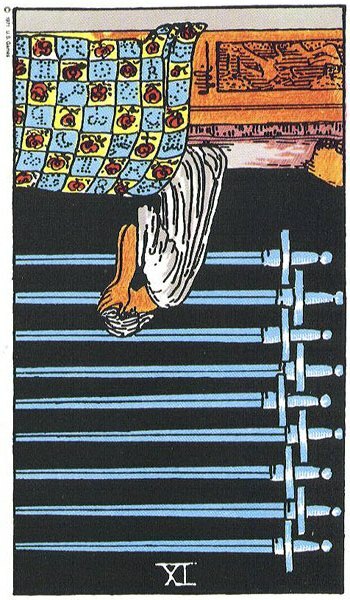 Reversed Nine – Insomnia, Sleep Walking, Sleep Deprivation, Night Terrors, Hysteria, Severe Depression, Sinking Lower, Psychosis, Hallucinations, Hearing Voices, Severe Paranoia, Fear of Everything, Feeling Under Constant Threat, Morbid, Negative, Pessimistic, Fatalistic, Doom and Gloom, Self-hatred, Self-Loathing, Self-Harming, Bullied, Abused, Suicidal Tendencies, Giving Up, Mental Collapse, Loneliness, Justifiable Fears about Health and Physical Safety, Coming Out of Depression, Seeking Professional Help, Hospitalisation, Sharing or Talking about your worries, Coming Clean, Regaining Mental Stability, Fears Unfounded, Getting The Support you need, Accepting and Coming to Terms with a Diagnosis. 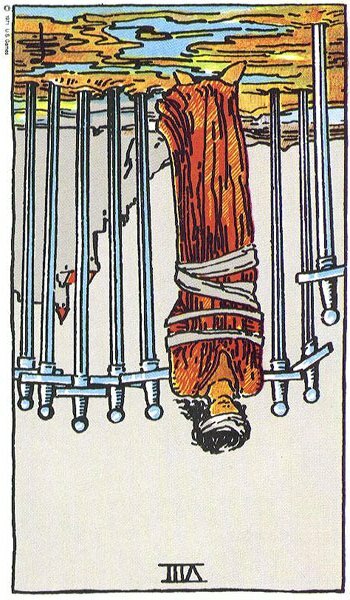 Upright Ten – Being Afflicted with Health Problems, Ill, Back Problems, Spinal Injuries, Paralysis, Feeling you Cannot Go On, At Death’s Doorstep, Too Much Suffering, Chronic and Severe Pain, Being Run Down, Chronic Fatigue, Disabled, Paralysis, Blighted, Not Being Able to Go about Your Daily Routine, Mental Depression, Mental or Physical Collapse, Breakdown, Hitting an All-Time Low, Hospitalisation, Assault, Attack, Injuries from Violence, Stabbings, Bullying, Looking for Attention, Making Out you are Worse than you are, Martyr/Victim Mentality, Paranoia, Hypochondriac, Won’t Help Yourself, Waiting to be Rescued from your Situation, Health dragging You Down, Wanting Out or it all to End, Suicidal Thoughts, Feeling Persecuted. Thanks for the addition of Health Interpretations. Whether one is expressly dealing with health issues or not, one’s “picture” is is better brought into better focus. Quite useful. I love your website. 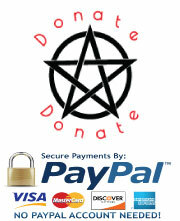 Be fan here. I have just started doing medical readings with caution. I asked about a gentleman at work did he die. 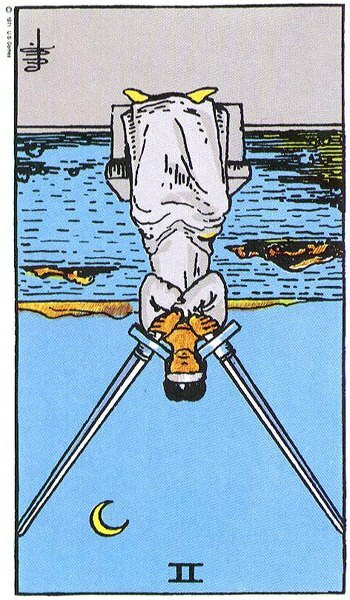 I did a 3 card reading. 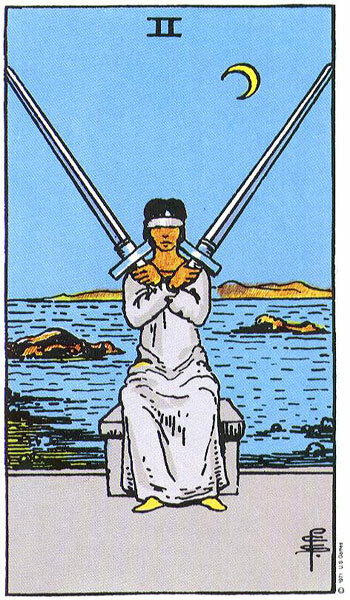 The outcome card was the 10 of Swords. The answer was he did die a few days ago. I did another Heath question about a coworker’s dad. I asked how was he doing now concerning his health. 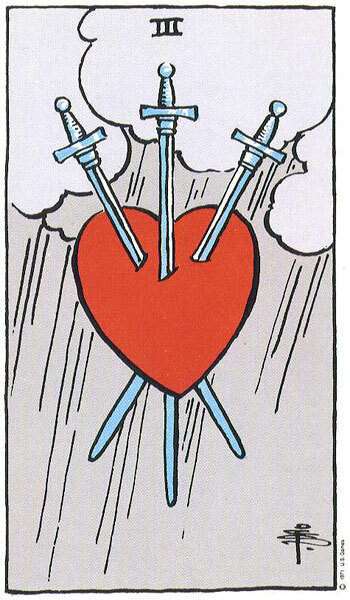 Again the 10 of Swords came up but in the reverse position and in the outcome of a 3 card spread. The answer this time was recovery from heart surgery. I use the Thoft deck so I don’t really use reversals. I look at reversals as blocked energy. Your definitions for reversals have given me more information to expand on. That’s great Philip and aren’t you brave indeed to take on Health Readings! 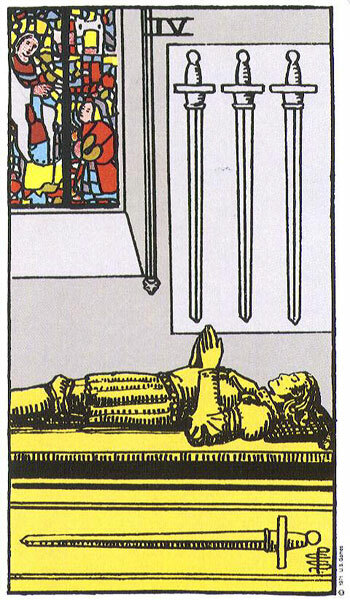 Death usually requires a combination of several cards. Even still I would not advise communicating this to people too often. It is a tricky one to deal with. 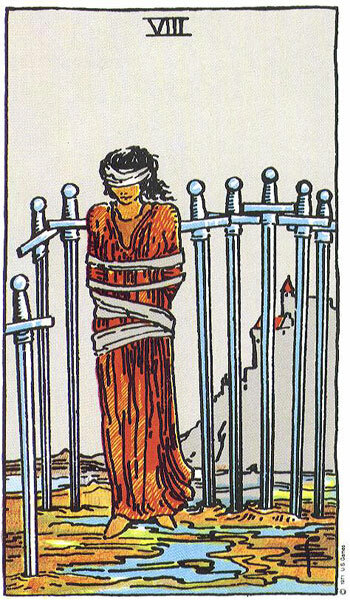 You want to say things but you don’t want to frighten people.I do see death in cards and I struggle with what to say. 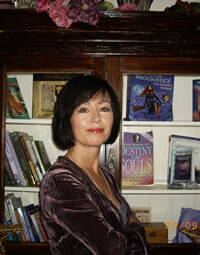 People often get frightened by the mention of slight health problems or hospital etc. They ask, but I can see the panic in their eyes when the cards are turned over. 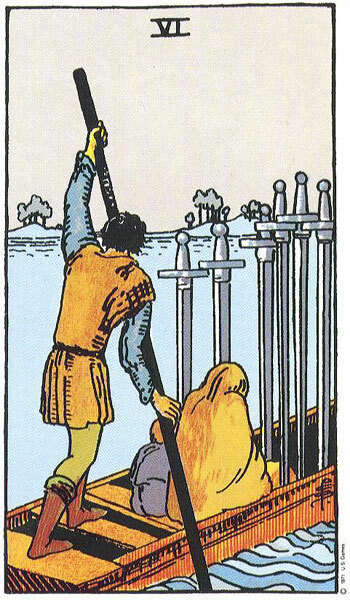 Some cards are hard to talk around in these cases as the imagery is very explicit and the client is not stupid. 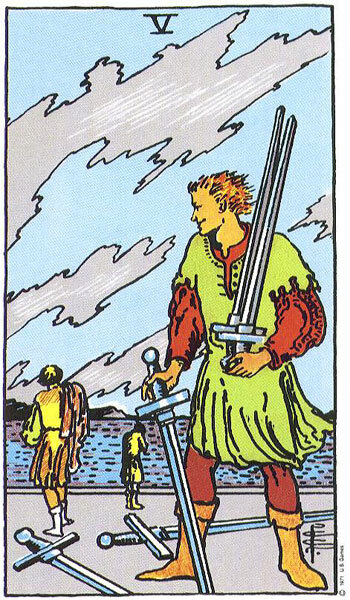 I saw my own son’s death in the cards but did try to ignore it. He was very ill and I couldn’t get a diagnosis on him. 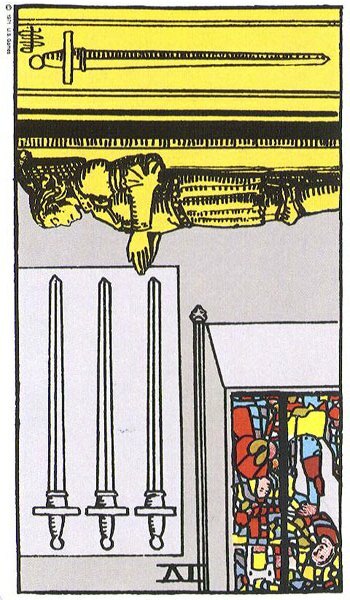 When I in desperation consulted the cards, I got a very direct answer. He died of a brain tumor at only 11 years of age. 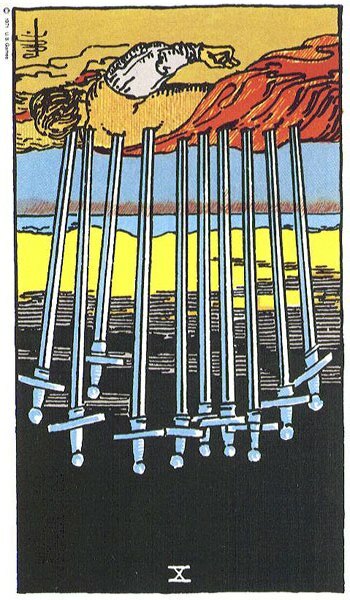 I had the full set of death cards and there was no denying it. 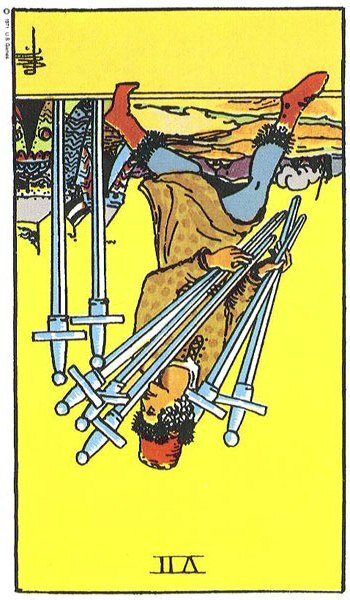 The Ten of Swords can suggest the end, the death of something but you have been using your intuition wisely in these instances. 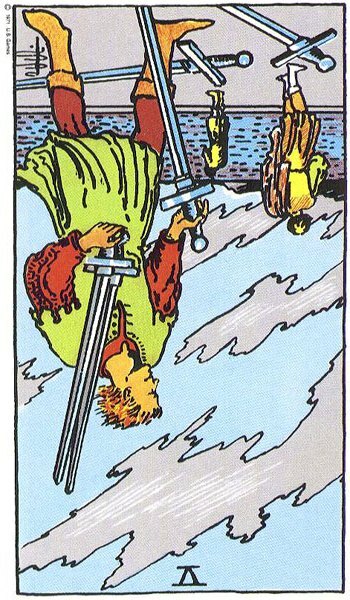 You predicted it as death in the first reading but using reversals you felt that it was more a brush with death and a lucky escape in the second one. The person in question must have been seriously ill and health very deteriorated. He had come to the end of the road and it was either go down or come up fighting. Well done, but do tread carefully. Maybe you have a gift in this area. It is a big responsibility.